Discover true beauty sleep with replenishing formulas that feature exclusive Celavive skincare technologies. Maximize your beauty sleep with Celavive® Replenishing Night Cream and Celavive® Replenishing Night Gel. Wake up to skin that’s restored its moisture, creating the radiant, youthful look you want. Whether you have sensitive, combination, dry, or oily skin, it needs to be nourished with intense moisture throughout the night. You’ll get that when you apply Replenishing Night Cream or Gel after the other products in your Celavive skincare regimen. 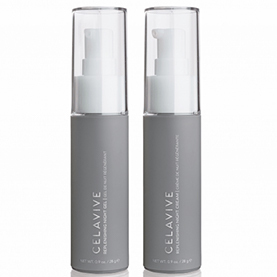 Celavive skincare caters to your individual needs with two products for different skin types. If you have dry or sensitive skin, Replenishing Night Cream is for you. 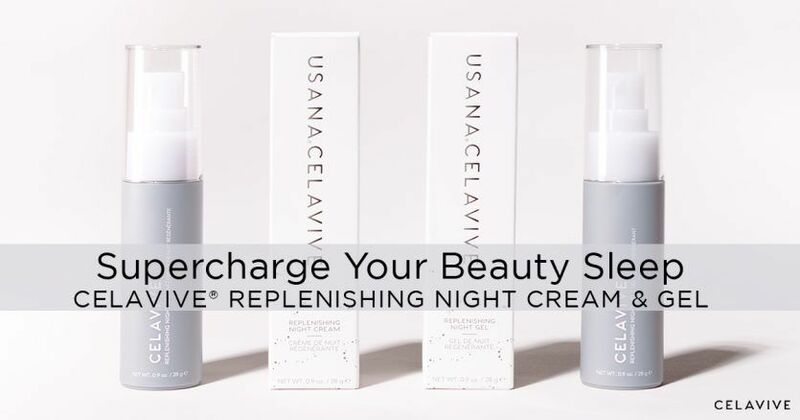 Replenishing Night Gel is for those with combination or oily skin. And with Celavive, getting what you need doesn’t mean compromising the quality of ingredients. 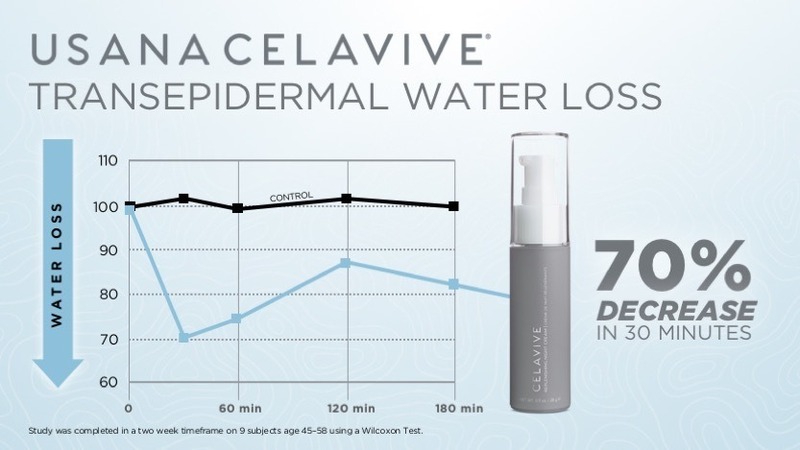 Celavive Replenishing Night Cream and Gel are both made with the Celavive Cell Signaling Complex—formulated using InCelligence Technology.® And you’ll feel the hydrating benefits of the Olivol® Botanical Blend. Restore your skin’s hydration, radiance, youthful look, and smooth-looking texture while you sleep. Replenishing Night Cream and Gel are your overnight solution. You’ll visibly reduce the signs of aging by minimizing the appearance of fine lines and wrinkles for a fresh-faced start to the day. If you’ve had a long day, think about what your skin’s been through. Your largest organ does many jobs—protection and regulation for a start. And it’s supposed to look good doing them. So treat your hard-working skin to a night of luxurious moisture with Celavive Replenishing Night Cream or Celavive Replenishing Night Gel. Your skin naturally rejuvenates itself overnight. And, the advanced active ingredients in both products work to renew your complexion while you sleep. That way your skin stays strong and looks youthful and radiant when you wake up. It all starts with the Celavive Cell Signaling Complex. USANA InCelligence Technology® is utilized in the cream and gel to support communication between your cells for healthy-looking skin. The complex includes ingredients like: southernwood extract, coffee seed extract, hexapeptide-48 HCl, and palmitoyl tripeptide-38. These compounds work to improve the appearance of the skin by supporting the genes responsible for your body’s natural beauty-preserving functions. Hexapeptide-48 HCl and southernwood extract are the two ingredients highlighted in the Celavive Replenishing Night Cream and Gel. Hexapeptide-48 HCl supports the skin’s barrier function to create a smooth-looking skin surface overnight. Maintaining a healthy skin barrier is crucial to the strength and longevity of beautiful-looking skin. A strong and thick skin barrier amplifies moisture retention for a visibly soft and youthful complexion. Southernwood (Artemisia abrotanum) extract can support your skin’s lipids and protect collagen and elastin from breaking down to help maintain a youthful appearance. This compound is rich in oligosaccharides (complex sugars) that work to make the skin appear smooth and luminous. The Olivol Botanical Blend adds deep hydration and helps balance your skin’s natural moisturizing factors. The fruit extracts in the botanical blend have been clinically shown to provide 24 hours of rich hydration after just one application. That means the Celavive Replenishing Night Cream and Gel you put on before bedtime is still working hard when you wake up. 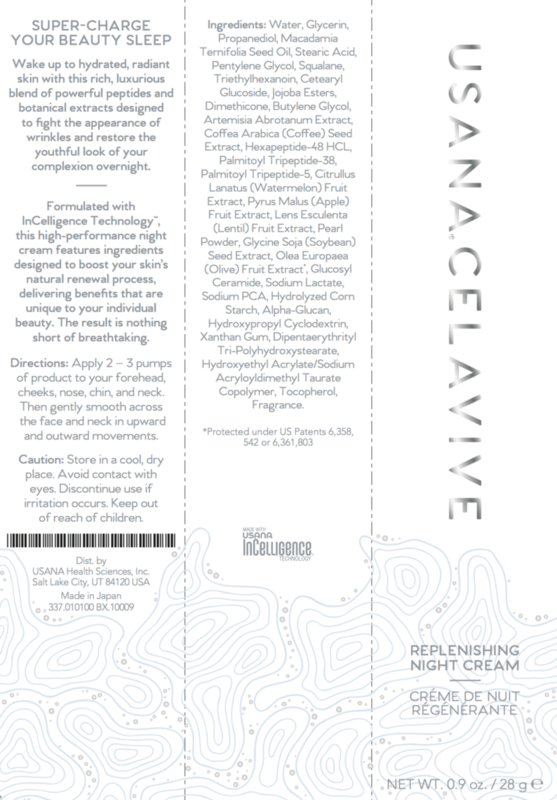 Celavive Replenishing Night Cream and Gel are both formulated to provide intense hydration overnight. So while you’re asleep, the moisturizing active ingredients in Replenishing Night Cream and Gel are helping create the skin of your dreams. That means exceptional hydration that smooths the look of skin for a youthful appearance. 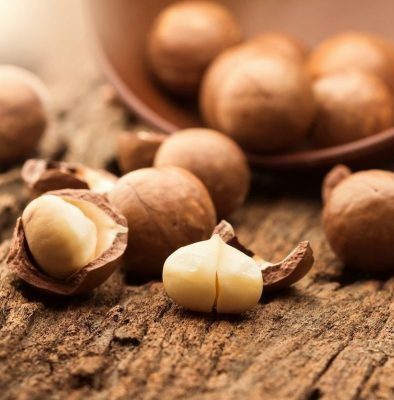 Macadamia nut (ternifolia seed) oil is just one of the natural botanicals found in the Celavive product line. This nut oil is highly effective at moisturizing dry skin without causing irritation. It contains up to 21 percent palmitoleic acid concentrations. Palmitoleic acid is an omega-7 monounsaturated fatty acid found in high concentrations in macadamia nut oil. This acid is a major fatty acid component in the human epidermis. So it’s found naturally in the skin and you can replenish it with the cream or gel. Palmitoyl Tripeptide-5: Chains of amino acids, including palmitoyl tripeptide-5, help ferry moisture and nutrients from the point of application deeper into your skin. Glucosyl Ceramide: Your skin has many kinds of ceramides. These lipids (fats) make up as much as 50 percent of the total lipid content of your outermost layer of the skin (stratum corneum). Topically applying ceramides helps replenish your outermost skin layer when dead and dry skin sloughs off, this reinforces moist and younger-looking skin. 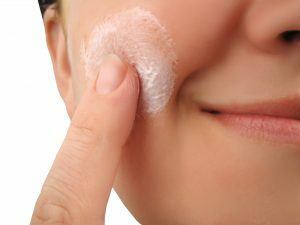 Dry skin is tight, rough, and can look wrinkled. Moisture changes all of that. That’s why all the moisturizing ingredients listed above could also fall under this section, as well. They help support a plump, smooth, younger-looking appearance for your skin. But Celavive Replenishing Night Cream and Celavive Replenishing Night Gel don’t stop there. Four more powerful active ingredients smooth the look of skin to fight the appearance of fine lines and wrinkles. Let’s start with soybean (Glycine soja) seed extract. It helps to lift, firm, and tighten the appearance of your skin. 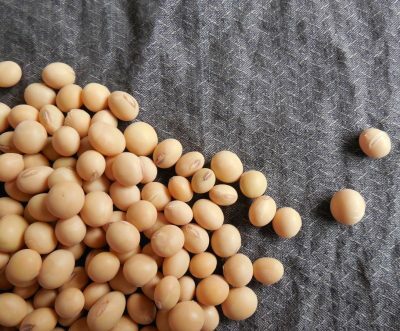 Soybean extract can also increase the appearance of skin smoothness. It also helps reduce the appearance of wrinkle depth by supporting collagen—one of the most important proteins in your skin. The extract also contains many amino acids to help smooth your skin’s appearance. You’ve already read about the two other ingredients that support tighter, smoother-looking skin—southernwood extract and palmitoyl tripeptide-5. The extract is rich in complex sugars that help you see youthful-looking skin in the mirror. And palmitoyl tripeptide-5 isn’t just about moisture. It also helps protect against collagen breakdown to help make the skin’s surface look lifted and more refined. Whether the cream or gel is right for your skin, you’ll get a powerful formula that supports the appearance of visibly younger-looking skin. All of the active ingredients you’ve read about so far are a part of both formulas. But there are special signature active ingredients in each product that makes them stand out. 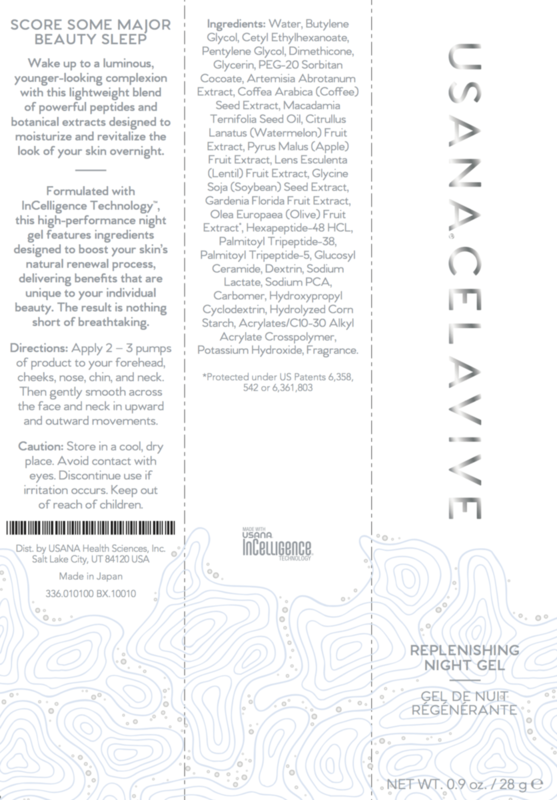 The Celavive Replenishing Night Gel’s special ingredient is gardenia extract. This botanical supports a radiant look when your skin is facing oxidative stress and free-radicals. This helps mitigate some of the visible signs of aging, like the appearance of fine lines, uneven skin tone, and wrinkles. This extract also gives Replenishing Night Gel a soft-blue hue, making it easily distinguishable from other components of your daily skincare regimen. Gardenia extract is a source of ferulic acid—an antioxidant. This acid is plant-based and supports proteins in your skin matrix as well as moisture retention. Gardenia also provides benefits of two other topical antioxidants—vitamins C and E.
In the Celavive Replenishing Night Cream, it’s pearl powder. This ingredient sounds luxurious—and it can be for your skin. Pearl powder’s roots go back more than 2,000 years. It has long been used in Traditional Chinese culture to support healthy-looking skin. Pearl powder has been regarded as an antioxidant for skin cells. It also works in the skin matrix to support a firmer appearance. The rejuvenating action of pearl powder helps maintain a vibrant, youthful appearance. The last thing you do before bed can make all the difference for your skin. So before you sleep, refresh your skin with Celavive Replenishing Night Cream or Celavive Replenishing Night Gel. Overnight, the products’ advanced combinations of powerful active ingredients will provide intense hydration for the dawning of a new day of visibly younger-looking skin. After applying Celavive Perfecting Toner, apply a pearl-size amount over face and neck in upward and outward motions. Caution: Store in a cool, dry place. Avoid contact with eyes. Discontinue use if irritation occurs. Keep out of reach of children. None. Submit your question below! Li, Yi-Chen, Chi-Ruei Chen, and Tai-Horng Young. “Pearl extract enhances the migratory ability of fibroblasts in a wound healing model.” Pharmaceutical Biology 51.3 (2012): 289-97. Web. 09 June 2017. Rabouille, Thierry. Skin moisturizing compositions. Galderma Research and Development, assignee. Patent 8758805. 24 June 2014. Print. “Macadamia Oil” Wikipedia. Wikimedia Foundation, 06 Apr. 2017. Web. 12 June 2017. Deckard, Angela. 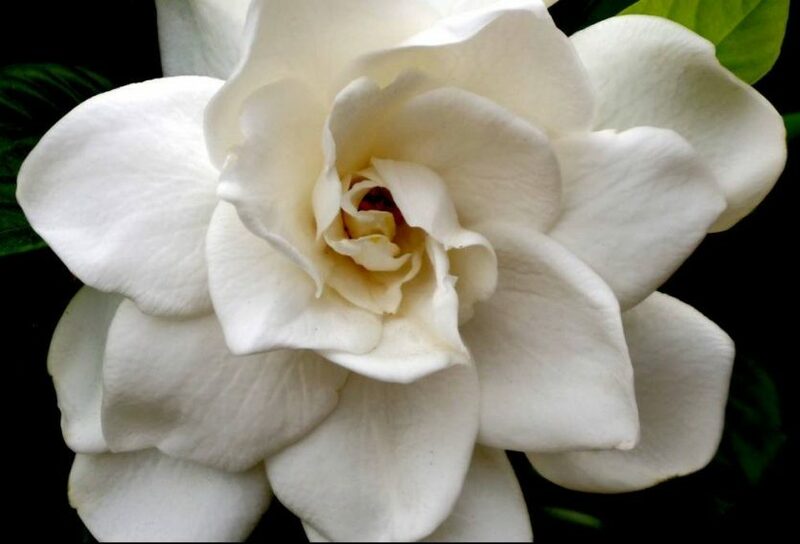 “8 Benefits of gardenia essential oil.” Healthy Focus. healthyfocus.org. 20 June 2016. Web. 18 June 2017. Chajra, H., B. Amstutz, K. Schweikert, D. Auriol, G. Redziniak, and F. Lefevre. “Opioid receptor delta as a globular modulator of skin differentiation and barrier function repair.” International Journal of Cosmetic Science 37.4 (2015): 386-94. Web. 16 June 2017. Schmidt, Alfred, and Heinrich Weiland. Cosmetic or cosmetic product for firming and smoothing skin, in particular in the case of cellulite. S.W. Patentverwertungs Ges. M.B.H., assignee. Patent 5945109. 31 Aug. 1999. Print. Cheng, Wai. “The relationship between peroxisome proliferator-activated receptors (PPAR) and cell proliferation.” American Journal of Clinical Dermatology. 9.1 (2008): 15-31. Springer Link. Web. 19 June 2017. Lupo, Mary P., and Anna L. Cole. “Cosmeceutical peptides.” Dermatological Therapy 20.5 (2007): 343-49. Web. 19 June 2017. Pazyar, N; Yaghoobi, R; Ghassemi, MR; Kazerouni, A; Rafeie, E; Jamshydian N. “Jojoba in dermatology: a succinct review.” G Ital Dermatol Venereol. 2013 Dec;148(6):687-91. 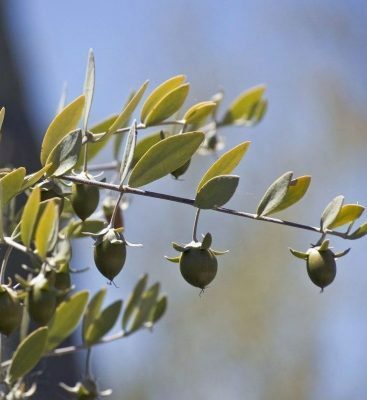 Meyer, J; Marshall, B; Gacula, M Jr.; Rheins, L. “Evaluation of additive effects of hydrolyzed jojoba (Simmondsia chinensis) esters and glycerol: a preliminary study.” J Cosmet Dermatol. 2008 Dec;7(4):268-74. Sethi, Anisha; Kaur, Tejinder; Malhorta, SK; Gambhir, ML. “Moisturizers: The Slippery Road.” Indian J Dermatol. 2016 May-Jun; 61(3): 279–287. Knowing your skin type is important. 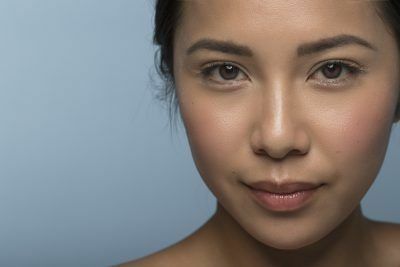 Take this skin type quiz to figure out whether your skin is oily, combination, dry, or sensitive. The science of your skin and its proper care can be best understood through a comprehensive view of its anatomy and physiology. 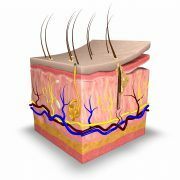 Your skin layers performs a lot of important functions. Skins primary function is to act as a barrier from various environmental elements.